Ahhh... the New Year is in full swing and I am back with your standard Double Dose. This weeks first shot is a California spectacular called The Chaw. This four-piece is currently in their infant stage, having just released their debut full-length, self-titled LP in November . Meticulously combining ingredients from classic blues, surf rock and seventies era psychedelic rock The Chaw have produced an authentic sound. A sound I can only describe as something I would hear in a retro indie film taking place out west (USA) off a lost highway in a lonely diner over burnt coffee and cigarettes. Bizarre and melancholy. The guitars have a pleasant 'ting' and are loaded with plenty of feedback. The foundation built up from the heavy bass lines and percussion create an atmosphere unlike any atmoshpere that you may have heard through the genre of post-metal and the like. 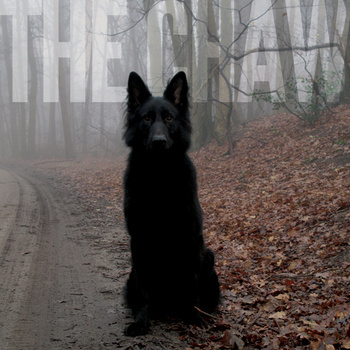 The Chaw have an aura, an ambience, an atmosphere all their own. And the vocals... stirring. Very cool and another piece of the puzzle that allows The Chaw to stand out amongst the many sub-genres of rock. Check out one of my favorite tracks The Road below and if you need to dig a little deeper the entire album can be streamed at bandcamp. 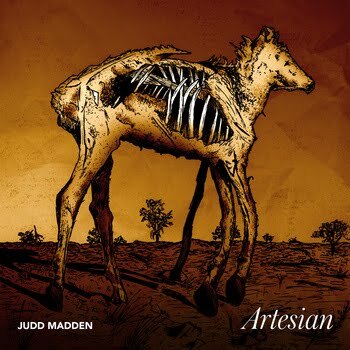 This weeks second dose is brought to you by Judd Madden, a solo stoner-doom virtuoso from Melbourne, Australia. If the name sounds familiar that is because Mr. Madden allowed the crew here at Heavy Planet to include his track King Drought on our first ever compilation release Bong Hits From The Astral Basement. So, if you haven't downloaded a copy yet, right now is an excellent time to get on that, but I digress. What listeners will find here on Judd's latest release Artesian is pretty standard stoner a la doom instru-metal.... slow plodding rhythyms against the barren emptiness of a desert, the blazing wail of an electric guitar and a thick crunch of a heavily distorted bass. All things considered standard here at Heavy Planet. The real treat is diggin' deeper into Judd's psyche and discovering his inspiration, that of the torrid and harsh climate that is the Austrailian outback. Each track is drawn out, in drone fashion, giving Judd a chance to texture-ize and detail each moment. Oh yeah, plus there is the bonus of the brilliant addition of a cello. Tasteful, haunting and beautiful. This one is highly suggested for fans of Earth. Give my favorite track Breath of Wind a Sword to Slay a listen while reading over the poem that inspired the awesome and accurate song titles of Artesian, Drought by W.H. Ogilvie. Finally, when you realize this stuff is just to good to be true, sit down and have a drink because Judd is offering Artesian at a rate of pay whatever the hell you want... and I think that is a pretty damn good deal. Diggin' The Chaw. I dug it when they first contacted us, and that cover is super-captivating. And REALLY diggin' Judd Madden! I'm gonna dig through his whole catalog! Both are killer. I can't believe Judd gives his music away for free, its such great quality stuff!